Enjoy a bungee rope jumping from a bridge of 45 meters high. 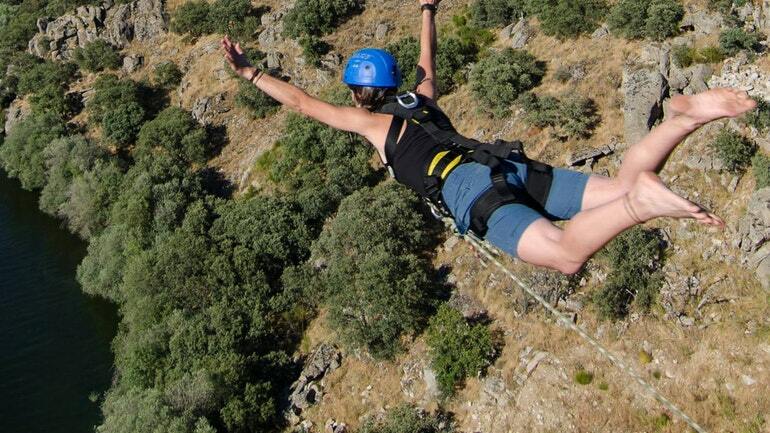 This activity is perfect to overcome your fears and limits! You will descend to a water motorbike and will be carried again to the beach. 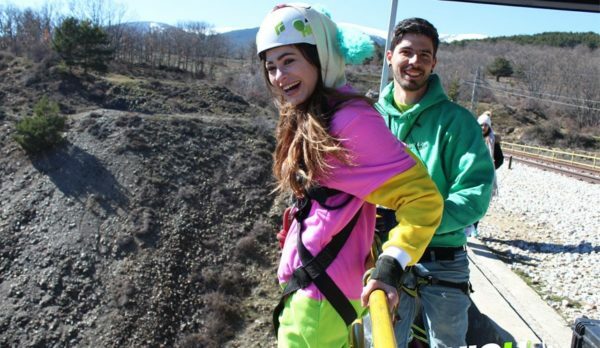 ENJOY BUNGEE JUMPING IN MADRID WITH DREAMPEAKS. 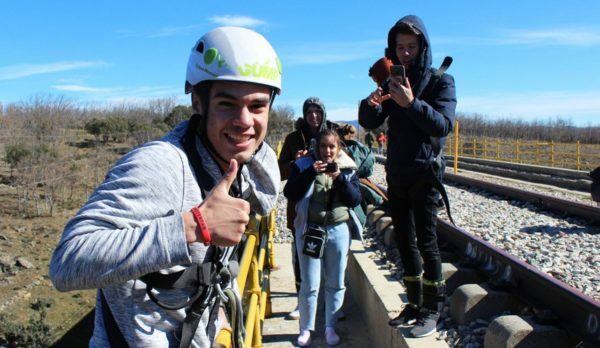 Bungee jumping is an activity that involves jumping from a bridge while connected to a large elastic cord. The thrill comes from the free-falling and the rebound. 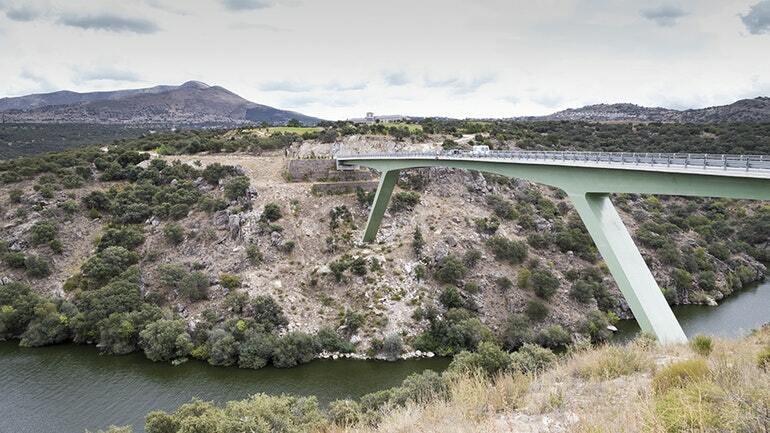 Bungee Jumping location is 1 hour approximately by car from Madrid city. The bridge, “the desire bridge” is the tallest private one in Europe; 45 meters above a river canyon. Once you have arrived, you will receive a 20 minutes briefing including jumping instructions, safety procedure, equipment and gear, and time to fill the waiver form. After jumping you will descend to a water motorbike and will be carried again to the beach. This activity is perfect to overcome your fears and limits! The personal satisfaction of overcoming the challenge is unique and increases your self-confidence. You dare? Optionally you can share a tasty BBQ on our facilities. Standard, Vegan and No pork menu on demand. DISCOVER EXTREME HIGH JUMPS AND BUNGEE JUMPING IN MADRID WITH DREAMPEAKS! Brief safety and jumping instruction course. One jump from a 45 meters bridge. All the equipment and gear required for a safe jump: helmet, harness and ropes. Transport. Our Guides will pick you up at your hotel or accommodation in Madrid and drop off at same place after the activity. Optional BBQ Menu available on demand: 25 € per person. (Vegan or special food upon request). -Normal level of physical fitness. -It is not recommended to jump to anyone who knows they have epilepsy, any serious heart deficiency, be under the effects of medications or any type of drug, who is pregnant or who has any other injury, deficiency or disability including back pain, muscle pain, or severe bones/ligament injuries. -If you have any questions, please don´t hesitate to ask to our instructors. -Mandatoy: Always follow the instructions of our bungee jumping instructors. -Sun screen, personal medication, water and light snacks/energy bars. -Empty your pockets before the jump.